Share your videos in just a few clicks! of your championship, from an archive available for the whole season: share the footage of your matches and take advantage of the possibility to get the video of other teams from the same championship. if you export in an incompatible format. If you record directly from the software instead, the video is ready for upload. In both situations you can add the scout from Click&Scout or Data Volley. queue of the matches that you are interested in watching: you just choose the videos you want and as soon as they are available, the videos will be automatically downloaded. for your guest, thanks to a ticket system that allows a not registered user to upload a match or to download a video. No need to give you username and password. Send the video right after your match is done and schedule the download of all the matches of the competition day at the same time. The data of each match uploaded is available during the entire season. Before sending a video you have the option to schedule the download of the other matches from the selected championship. After uploading the videos they will be automatically downloaded. 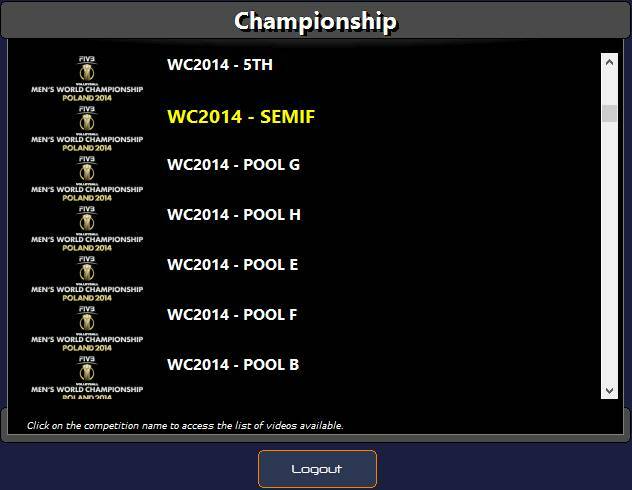 Select your championship and choose the match to upload. You can also add the scout and relevant notes. The program checks the video and sends it to the server. 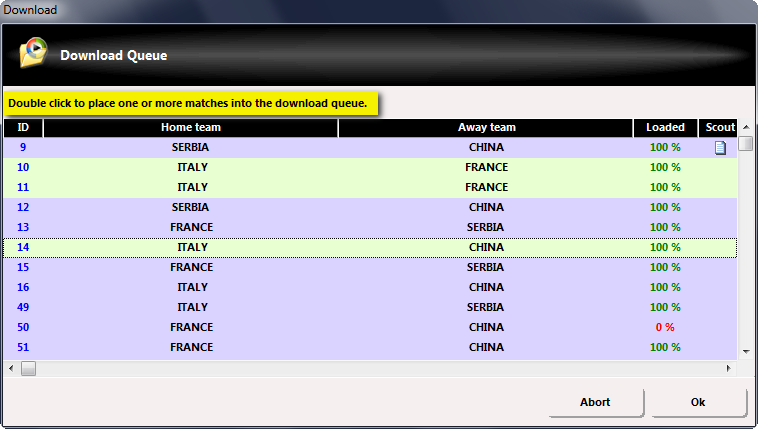 Select the matches from the list you want to download. Scout files can also be downloaded if available. You can find a match by filtering for the competition day, team or the phase. Additionally, you are able to watch a 60 second preview before downloading a video. The access to the video is protected and restricted to only the users participating in the service. In case of losing the internet connection the program automatically reconnects and resumes data transfer without losing any information. 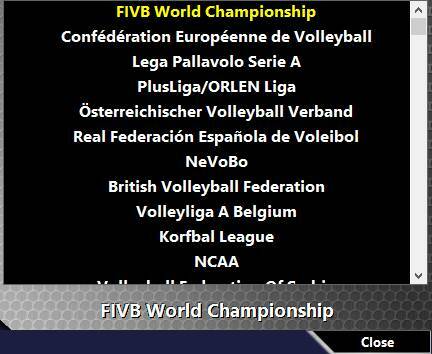 Each competition has its own space on the server where all the matches uploaded by the users are stored. You can upload or download matches from several competitions. You get a username and password that will allow access to all competitions to which you have permission to access. Designed to be used together with Data Volley and Data Video; Video Sharing allows the user to upload or download a match. The software can generate tickets granting individual match access to others. Further, by using direct capture the video is ready to upload immediately after the match. Videos are fully compatible with Data Video and the new Data Volley 4. You can also make it easy to import the accompanying scouts. If you own a VideoSharing account you can create a ticket and allow someone else to download the match. Those who use tickets do not need to login, they only need to type or paste the code in the space provided. Using direct capture the program allows you to have the video of the match immediately ready for upload. This process is automatic if you have an active internet connection, otherwise you will have to schedule an offline capture and upload whenever you connect.